Mr RS was cycling correctly along the road when he was struck by a van. The van driver had not seen our client and drove in to the path of our client. A claim was made against Sainsbury’s insurers who at first stated that their client was stationary at the time of the accident. Luckily for Mr RS, video recorded by a camera mounted on his handlebars showed that the van suddenly swerved to the left and struck Mr RS knocking him to the floor. When the insurers saw the footage they admitted liability. The video camera proved the van driver’s negligence and without this vital evidence this could have been a case of the word of the cyclist against that of the van driver. 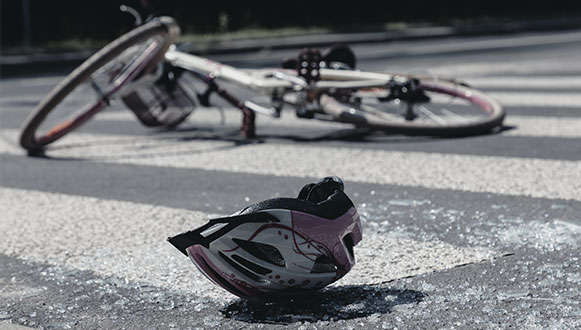 Mr RS has received £3,859.40 in compensation for his injuries, damage to his bike and losses associated with it. The client was represented by paralegal, Dagmara Sztynyk and Partner, Tim Beasley. Partner, Tim Beasley, who also uses a camera to record his own rides, said that this footage shows the value of having a video camera which can make all the difference in proving the case. The footage also shows how “cycle lanes” of the sort used by the cyclist in this incident are actually potentially dangerous for cyclists and bear no comparison with cycling infrastructure to be found in the Netherlands and Denmark where cyclists are usually completely segregated from motor traffic.